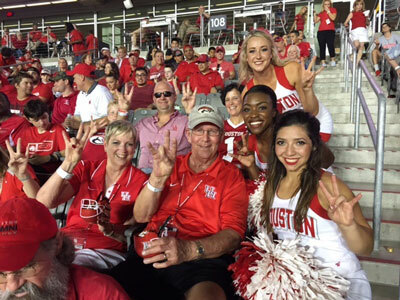 The Cougars were down by several points when Patrick (’69) and Pamela (’74) Newman traveled with the University of Houston football team to Temple University. Once they were escorted down to the field end zone, the game began to change in the Cougar’s favor. 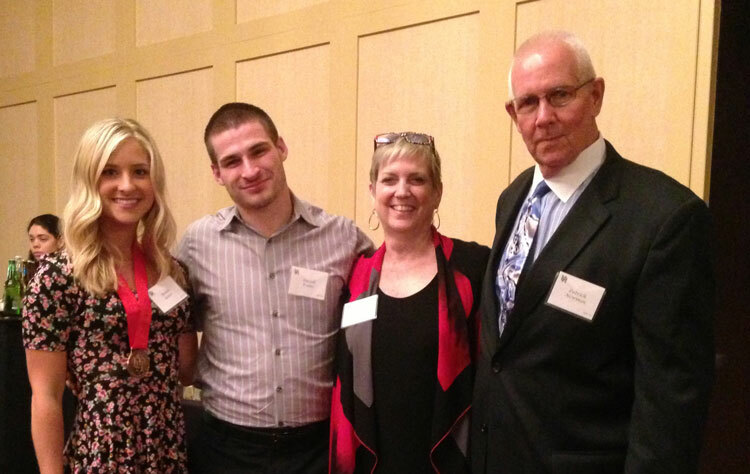 The Newmans have made a perfect art of diversifying their support at the University of Houston. Members of the Corbin J. Robertson Society, they’ve underwritten full scholarships for student-athletes, and they funded the very first women’s golf scholarship in that program’s inaugural year. They make a point of being season ticketholders for multiple sports. They’ve also supported facilities with substantial gifts to TDECU Stadium and most recently, the Fertitta Center. “A successful Athletics program and great facilities bring people to universities,” says Patrick Newman. Patrick and Pamela have also planned a legacy gift, and thus are members of the In Tempore Legacy Society. “It was a way to make a lasting gift to the University that helped us so much in our careers,” says Pamela, an education administrator. 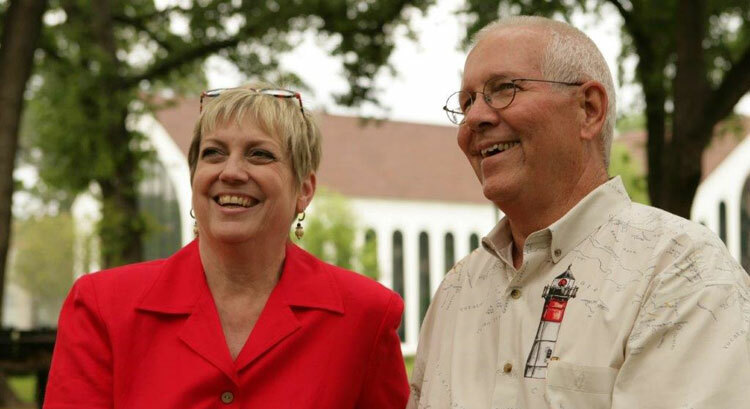 For their lifetime giving, they have been inducted into the Ezekiel W. Cullen Society, as well. The Newmans have met several of their scholarship recipients and they have seen the progress the students have made – from the nervous freshman to the confident graduate. One of their former scholars even invited them to her wedding! “I first had the honor of meeting Patrick and Pamela at the Tier One Scholarship Reception [in December of 2011],” says Boston Evans (FS ’13). “I was honestly speechless at first, because how do you truly show the amount of gratitude you have for people who generously decided to sponsor your entire college education? The “Here, We Go” Campaign, the march to raise $1 billion by the year 2020, is a charge for the entire Houston community. The Newmans, who attended the campaign’s kickoff gala in January, say they aren’t surprised that the University is three-quarters of the way toward its ambitious goal. Asked to sum up why they give, Patrick responds: “President Khator’s emphasis on upgrading the image of the University, her push to bring in more researchers and her ability to project a Tier One perspective throughout the city of Houston.” These are all things that inspire their generosity of spirit. In their opinion, the only thing that the University could do to improve, is to continue to reach out to more local students via their high school counselors. University of Houston needs to be a viable first-choice school for talented students. “We have a world class university in the city of Houston and we all need to promote it at every opportunity,” says Pamela. 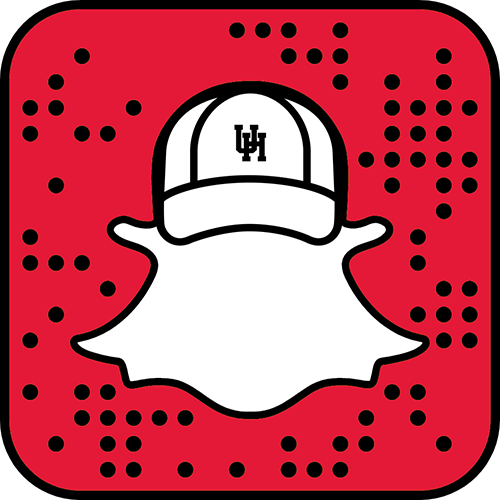 To learn more about how to support Tier One Scholarships, contact Jenny Harding, Development Officer for Tier One Scholarships, at 713-743-7125 or jrharding@uh.edu. To learn how to make a planned gift, visit: www.giftplanning.uh.edu.